HOW MANY SOLAR PANELS NEEDED TO POWER A HOME? How big a solar power system do I need to power my house? The appropriate sizing of a solar power system to supply a home’s electricity needs is one of the most common questions from people considering buying solar panels. Energy Matters offers a number of tools and ways to help you determine the best sized system for your house and circumstances. One of these is our solar calculator. 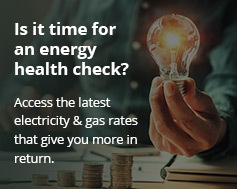 Simply enter your postcode and how much you pay per quarter for electricity (even an estimate will do). Our compact solar calculator will display a recommended system. This will include details of how many solar panels you’ll need to slash your electricity bill by at least 50%. It will also provide inverter sizing and estimated financial benefit. Please note: the solar calculator may take up to 1 minute to produce results currently – we are working on speeding up the processing. As an alternative, try our quick solar quote application. How big a solar power system you will need is largely determined by your usage. The follow image displays grid connected solar panel systems suitable for various household sizes. It also shows an estimate of what each system will power. It’s important to consider that even if you purchase an entry level (~ 5kW) package that won’t supply all your electricity needs, it will still reduce your power bills considerably. Based on this you can expect up to $800 in savings each year, depending on household size and installation location. Please note: the above assumes energy-efficient appliances in most instances and average use (or use as indicated). Also note that all solar panels are not equal. For example, a low quality panel may provide less output than labelled and may also deteriorate faster. Energy Matters only supplies quality solar power components from reputable tier 1 manufacturers, such as REC, Flex, and JA Solar – who, like Energy Matters, is a multi-award winning company. Also bear in mind solar modules come in different sizes (wattages). So, how many solar panels you’ll need to power your house will vary depending on the module chosen. Output of a system will also be affected by location and installation orientation. 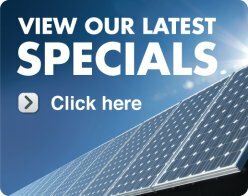 Another way to gauge how big a solar energy system you’ll need to power your home is to review our specials pages for your state. Each package is accompanied by an indication of annual electricity savings, which you can compare to your current electricity expenditure. Yet another option of determining how big a solar power system you’ll need is to use our solar quotes system – it’s also very quick and easy to use. You’ll see a range of systems with a recommended size depending on the number of people in your household. After submitting for a quote, as with the compact solar calculator above, our quoting system will present you with a summary of a suitable system. This includes how many solar panels you need to meet all your home electricity usage requirement. But, with much more added detail. If you would prefer to determine what type and how many solar panels you’ll need for your home through an obligation-free phone consultation with our friendly solar experts, we can be contacted via our quick solar quote application. Our team will assess your requirements, power consumption profile and consult satellite imagery. The latter allows us to view your house’s rooftop in order to customise the best sized solar panel system for you.